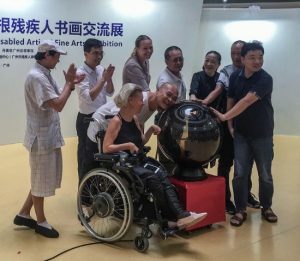 From the 13th to the 22nd of September 2018, mouth painter Ann Lund Wahlberg was invited by the Royal Danish Consulate General in Guangzhou. 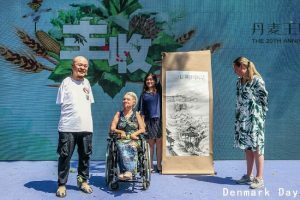 The talented artist told on several occasions about the inclusion of disabled persons in the Danish society through art, sport and family. 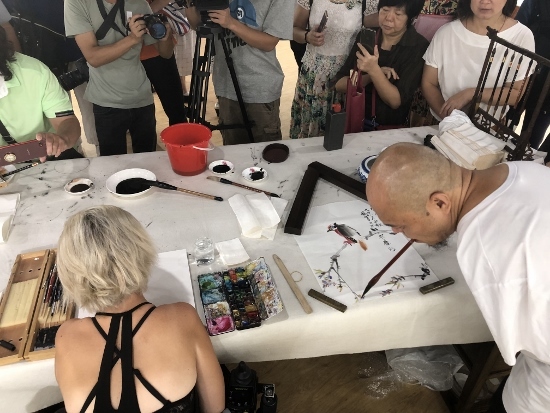 Together with her husband and her kids she travelled to various exhibitions and art lessons to give an insight about the world of mouth and foot painting. In collaboration with the Chinese mouth painter Guofu HUANG they showed and explained how they work together on an international level. Both are part of the Association of Mouth- and Footpainting Artists, an organisation that unifies about 800 mouth and foot painter around the world.